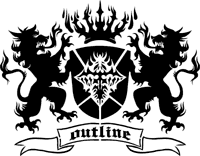 The fifth Outline party ended today and releases have started to come in. There were four demos/intros for ST machines including new ones from Paradox, Lineout and Checkpoint. Further on there were a number of bootsector intros, music and graphic contributions. Some of the releases are collected on our download page for Outline 2008. The winning Paradox demo is said to be available later after some bugfixing have been made.